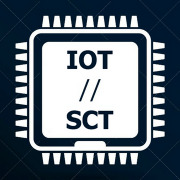 The Internet of Things Scotland Meetup group is open to software professionals, entrepreneurs, academics, enthusiasts, makers/hobbyists, and early-adopters. Topics covered include: M2M, Artificial Intelligence, Drones (UAVs), Self-Driving Vehicles, Machine Vision, Wearables (Virtual Reality, Augmented Reality, Fitness Trackers, Smartwatches), Intelligent Transportation Systems (ITS), Industrial Asset Control & Monitoring, Smart Home, Smart City, Big Data, Robotics, Machine Learning, Autonomous Transport, Maker/Hacker products (Arduino, Raspberry Pi, Intel Edison), LPWAN, Sensors, 5G, Tech Startups, Wireless Sensor Networks. Our events are usually photographed and/or filmed. Attendance at the event implies your consent to recording and using such audiovisual material. Images are usually posted to social media, the Meetup page, and our official website.